But it’s all for a good cause, you see….the cause of my time. And my laundry. If you have children (or even just husbands), you have probably learned that it’s important to check pockets before putting things in the washing machine. Not for you, of course; you never forget there’s an important paper in your pocket. I once washed my husbands entire wallet. Complete with credit card (needed replacing), memory stick (amazingly, still worked), and a check that fell apart and was an embarrassment to ask for a re-issue. I learned my lesson. And then I had children. Who like to stick the strangest things in their pockets! Rocks, pieces of play-dough, crayons….you do not want to wash those things with your other clothes. I made a cutsey sign to hang over the hamper. It reminds everyone to check their pockets, sort by color, make sure it’s dirty, etc. Nobody pays any attention to the sign. I nagged, I implored them to check their pockets. It made little difference. And then, I began to pick pockets. For profit, that is. I empty the pockets, and the contents become mine. I then offer said contents for SALE to the owner first, and then to others if the owner doesn’t want to fork it over. If there are no buyers, I declutter it by putting it in the trash (it usually belongs there anyway). I don’t charge much, only a shekel (about 25 cents) per item. But to the kids, it’s a lot (the 2 older ones get 1 or 2 shekels for allowance each week plus a little for extra jobs if they choose). And it works! It makes them more careful about leaving things in their pockets, and helps them learn the value of both things and money at the same time. What’s your trick for getting your family members to participate in laundry rules? What’s the worst thing you ever washed by mistake? 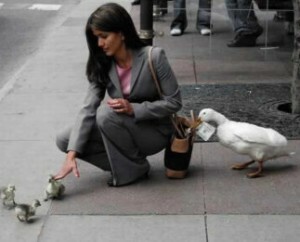 Have you ever been pickpocketed for real? How do you teach your children to take care of their things/value of money? When was the last time you watched Oliver! ? Hilarious! I think that’s an awesome way to teach kids to check their pockets. Just wait til they start leaving money in their pockets! My husband always finds money in his pockets when he checks the clothes before he washes them. And, it happened again. My 6 year old left 1 shekel in his pocket. I am glad that he figured out that it was pointless to buy it back (for 1 shekel).